South Sudan (MNN) — The “Macedonian Call” from Acts 16 is fairly well-known in Great Commission circles. The term usually refers to a Spirit-led desire to make Christ known in an unreached region or people group. 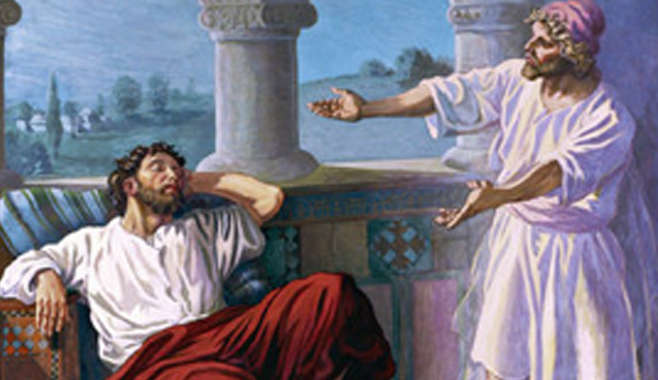 “There was a man from Macedonia who was asking him (Paul) and pleading with him, ‘Please come! Please help us’,” recalls Rob Myers, President and CEO of DOOR International. DOOR’s African translation and training center is located in Nairobi, Kenya. Many of DOOR’s staff and leaders are familiar with the ongoing crisis in neighboring South Sudan. Review some quick facts about the crisis here. 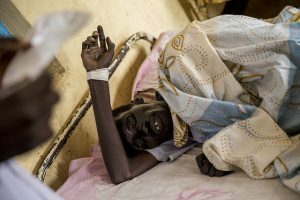 Seven years after it gained independence, South Sudan has been overwhelmed by civil war, economic downfall, drought, a food shortage bordering on famine, massive displacement, and ongoing violence. “Because of the violence and because of the situation that Deaf people are facing, our staff asked us to very seriously consider [beginning work in] South Sudan because Deaf people need hope there,” says Myers . At the end of 2014, DOOR took a team of Deaf and hearing leaders to South Sudan. They met with local Deaf leaders, and assessed the possibility of starting translation and church planting work. Following the Spirit’s lead, DOOR began translating God’s Word into South Sudanese Sign Language in 2015. The next year, they recruited four Deaf men and taught them how to start a Deaf church planting movement. Earlier this month, Deaf translators, DOOR, and its partners celebrated the first-ever Bible portions in South Sudanese Sign Language! Deaf 2-by-2 teams are using these sign language Scriptures to introduce Deaf communities to Christ. “For the first time they (South Sudanese Deaf) have access to God’s Word, and it’s drastically changing their lives,” says Myers. Abraham Majak Mayom is a Deaf video editor working with DOOR’s translation team. Together with his Deaf teammates, Abraham is working hard to bring God’s Word to his people in a language and format they understand best. The team hopes to have a complete 110-story Chronological Bible Translation finished by 2019. 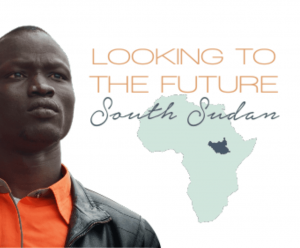 “We, the South Sudanese Sign Language translation team, are very grateful to DOOR for their desire to provide our people with the Bible in their heart language,” Abraham signs. Read more from Abraham in this blog post. “There’s a very deep wound there that everybody in South Sudan is experiencing, and it’s going to take the power of the Holy Spirit and the power of God to bring healing to that,” Myers says. By giving to DOOR, you can help Deaf leaders receive the tools and training they need to fulfill the Great Commission. Praise God for making His Word available in South Sudanese Sign Language! Pray that DOOR's Deaf 2-by-2 teams would be empowered to spread the Gospel. Pray for trauma healing to begin through God's Word. Ask God to give visionary leadership to local Deaf leaders. As U.S. leaves U.N. Human Rights Council, how can Christians respond?